Fancy an ice cream in one of the Caribbean's best-kept secret islands? We visited the First Hostel in Curacao, a unique hostel located inside a former ice-cream factory, turned into a laid-back, cozy colorful hostel. 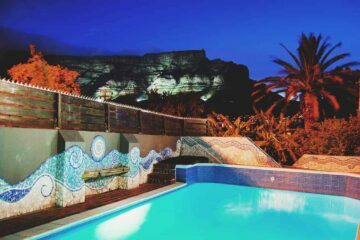 Be ready to be half-naked most of the time - you will love the swimming pool and Jacuzzi area- surrounded by colorful buildings. 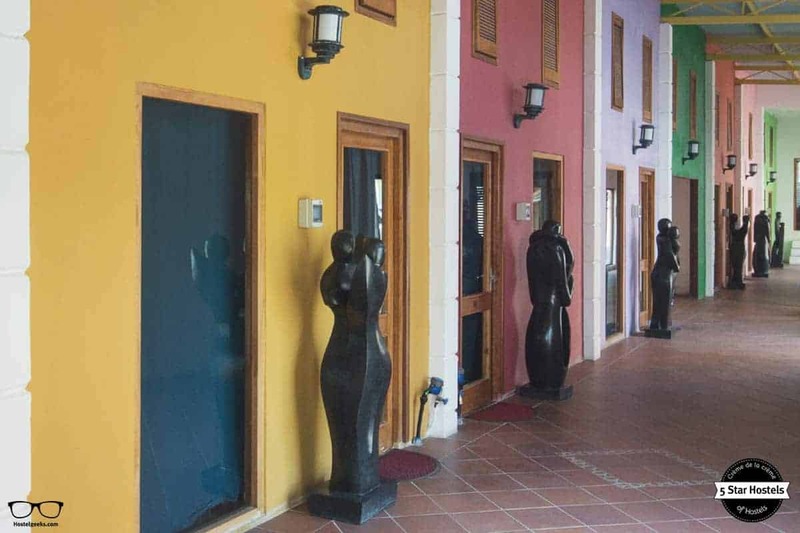 This place is the 5 Star Hostel in Curacao - a barefooted visit by Hostelgeeks. 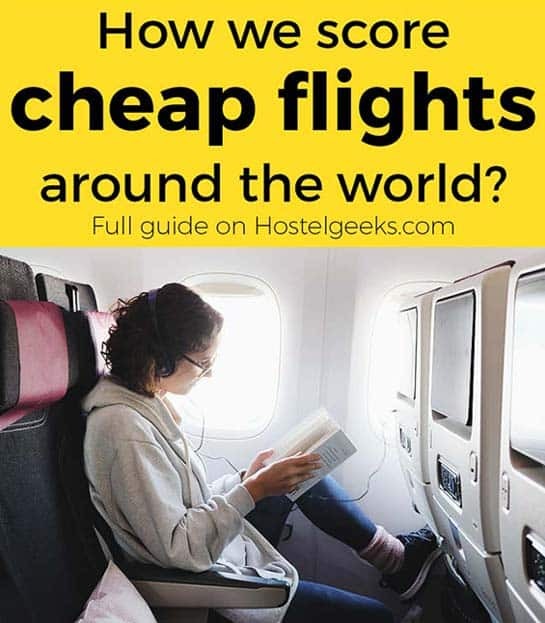 How to book The First Hostel? You just found our #1 recommendation for best hostels in Willemstad, Curacao. Genuinely, The First Hostel is the accommodation we recommend to our friends, family, and to you! You will like it! 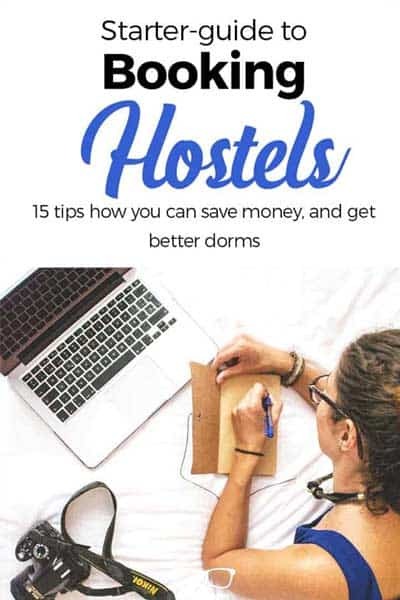 Planning to stay at The First Hostel? Please use the links provided above. 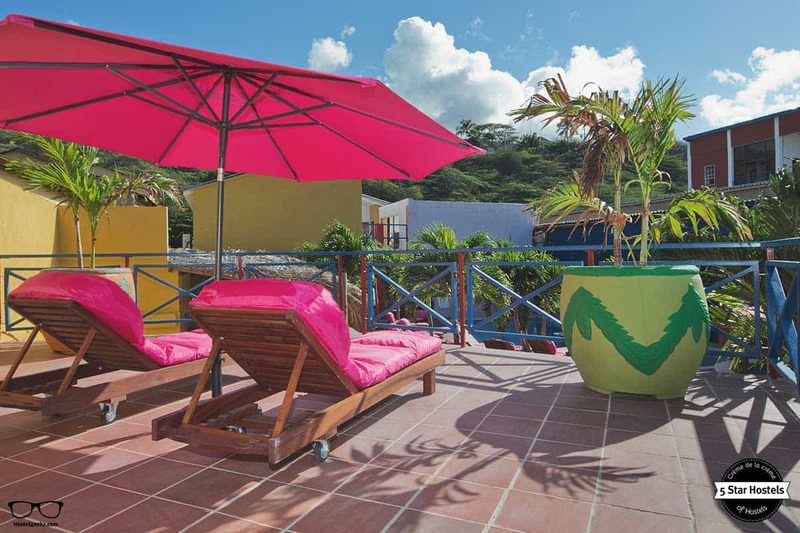 The hostel is centrally located in Willemstad, the capital of Curacao. The accommodation is located in a trendy and historic environment: the district of Scharloo. Scharloo is a former residential neighborhood with picturesque homes built by Curacao’s wealthy Jewish merchants during the 18th century so that they could be close to the harbor. Quietly tucked away against the slope of a hill, it is tranquil, but in a walking distance to the life of the inner-city in. The area changed from merely having private homes during the 1800s and 1900s, to the business offices and government institutions that are here nowadays. Despite that, some of the buildings in Scharloo are nowadays still waiting for repair, the area clearly shows us the former glory and elegance of that time. At the site of the former ice cream factory, the first hostel consists of a variety of buildings, including two monuments from 1860. When walking in the Ritz Street (‘Kaya Ritz’), with its little side alleys and colorful presence, one gets the feeling of walking through a small village. Wonder through the little alleys where every corner opens up more about the history of the property. Curacao is one of the Caribbean’s best-kept secret islands. A paradise and dream destination for beach lovers, world travelers, and diving addicts. And of course, we could not resists to combine this dream destination with a stunning hostel. 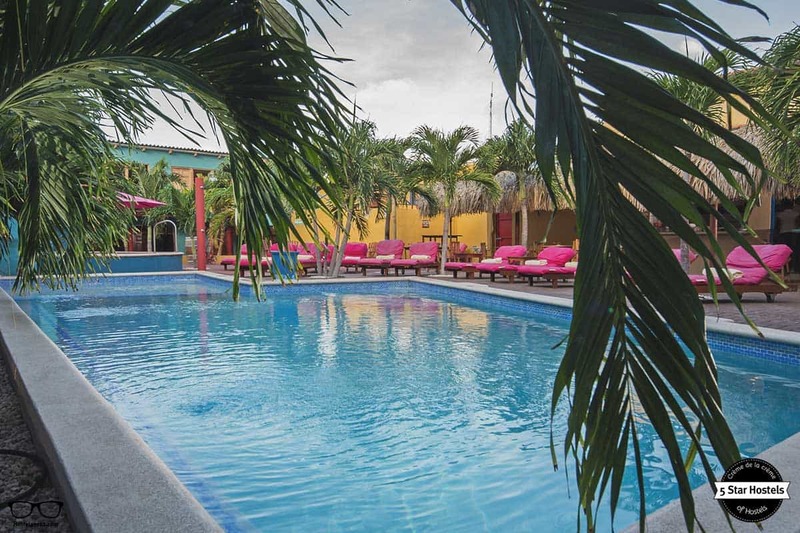 There are many fantastic hostels around South and Central America. 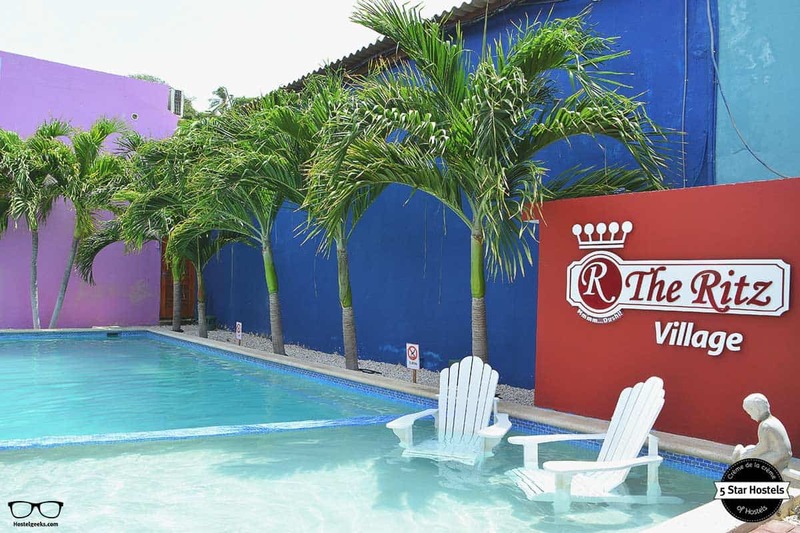 Find all the best hostels in Central America here. The First Hostel is by far the largest and only 5 Star Hostel on the island of Curacao. With one or two bunk beds per room, the dorms are simple but spacious. The general area, which is shared with the hotel guests, offers a pool bar and restaurant with plenty of seating area, an outdoor swimming pool with lounge chairs IN the water, super comfy sunbeds and last but definitely not least: a Jacuzzi! 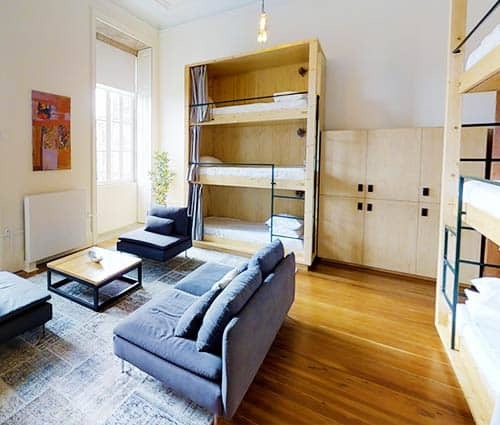 Read: +110 design hostels to fall in love with. Have a look at the video. Not bad at all, huh? We collected 22 cool hostel videos from our 5 Star Hostels. The accommodations offer doesn’t stop in the swimming pool. Since the opening of a second hostel building in January 2017, there is a special area for hostel guests only. A staircase from the ground floor will lead you to the sunny rooftop terrace, with its own lounge area, sunbeds, and … a second Jacuzzi! 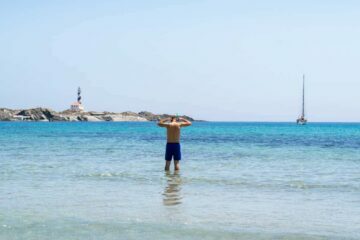 There’s no hot water (like on a big part of the island), so it is always nice and cooling to jump in the pool or Jacuzzi. We had a closer look on what’s behind the colorful surroundings, the hip facilities, and this peaceful atmosphere. The accommodation is committed to protecting the environment and conserving natural resources while providing the best possible services. 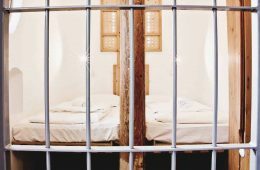 Since water and electricity on Curacao are among the most expensive in the world, the best hostel in Curacao chooses to offer ‘refreshing’ ambient temperature showers, rather than higher room rates. This is a common practice on Curacao and for sure, this is something the conscious traveler is looking for. The topic of fresh water and resources is a common one among islands around the world. Many islands take different approaches, depending on development and urgency. In Curacao fresh water is made out of seawater. Although the quality is high, the desalination process consumes much energy. Electricity is generated by diesel engines at the refinery, a technology that dates back to the 1960s. This practice is non-sustainable. 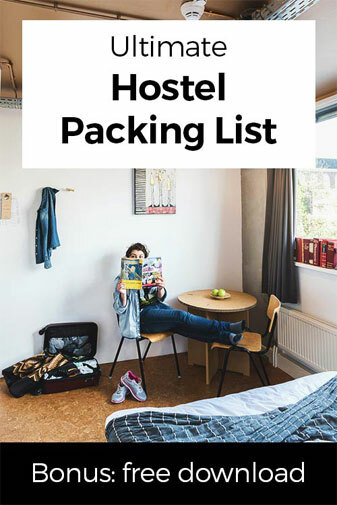 How does the hostel fit in here? The First Hostel takes a position to contribute to a better environment for the Island. The budget accommodation offers an environmentally safe laundry service. In order to minimize environmental damage caused by excess laundry, the rooms will receive fresh sheets and towels after three nights sleep. They ask the guests to hang up their towels and bathmat to dry for re-use. All rooms are non-smoking, and housekeeping staff uses. 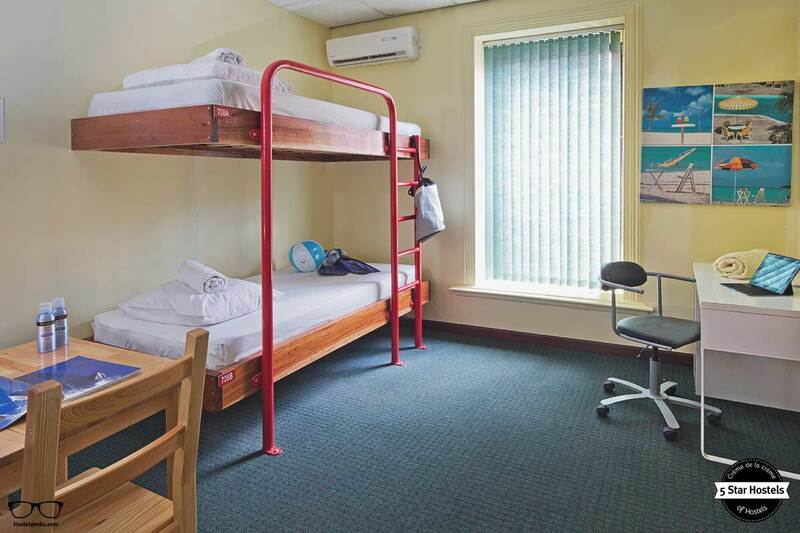 Read: overview of different hostel room types. All rooms are non-smoking, and housekeeping staff uses environmentally friendly cleaning products. 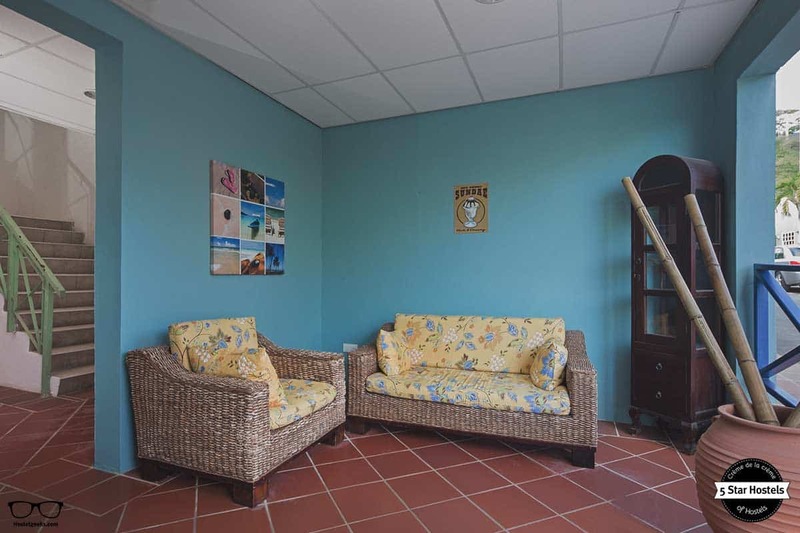 For electricity, the best hostel in Curacao encourages guests to conserve electricity by turning off the air conditioner, the lights, and other electrical devices when they leave their room, as well as keep their air conditioner at a moderate temperature. The staff lets guests be aware of how they can actually cooperate and make a difference as well. The next big project is installing powerful solar panels. We will keep you updated about it. Their decisions and actions remind us at Mosaic House, the 5 Star Hostel in Prague, which are eco Pioners, and produce 0% emissions. In fact, many of the accommodations at Hostelgeeks are up to the newest standards. 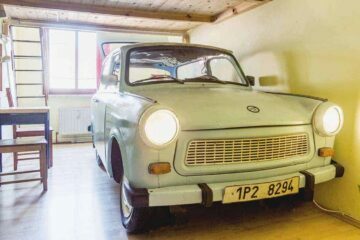 Have a look as well at the Backpackers Villa Sonnenhof, they only run on green energy. For almost 70 years the building had been the largest ice cream factory in the Caribbean. Therefore we wondered: How does a hostel in a former Ice Cream factory look like? No surprise here, the design is based on the industrial history of the hostel. Since 2004, the complex has been lovingly converted into a hotel and hostel. 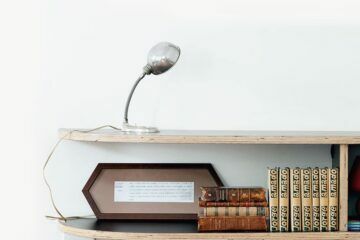 During the renovation, The property incorporated many original details, such as the spans, windows, floors… and antique fixtures from the factory. This keeps the integrity of the historical building intact. 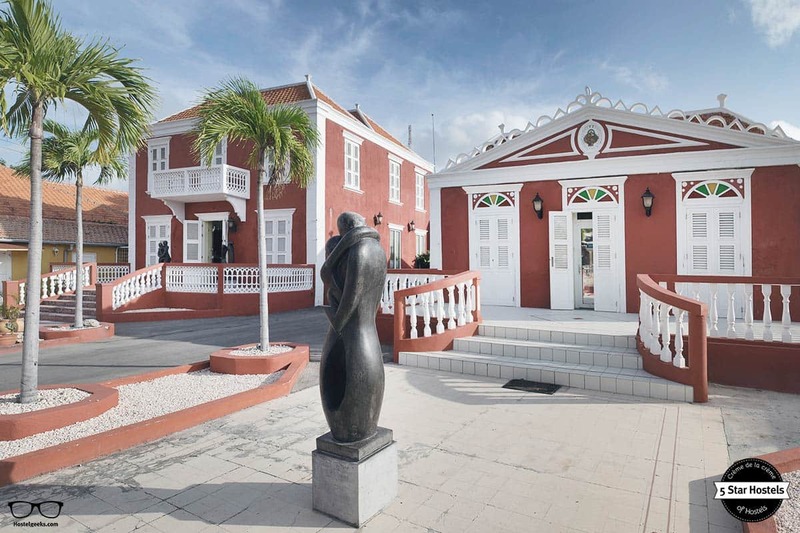 There is also the Ritz Museum nearby for people interested in knowing more about the ice factory and the value of it for the people on the island of Curacao. One can still see what the original functions of the buildings were, even though it’s been adapted for modern uses: factory office and storage were converted into a functional modern atmosphere while keeping the integrity of its colorful history. All buildings were restored and renovated with the factory in mind, showing its former industrial past. Just like Swanky Mint in Zagreb, Croatia, where you can still see that it was a dry-cleaning factory. The floors of this cool hostel in Curacao were redone in polished concrete with an industrial coating. Some rooms show also the industrial roof construction in the loft. The inner supports of the buildings are made of steel pipes, and profiles and are left exposed. The most remarkable and exciting is its history! Okay, okay…besides the island as a location and its swimming pool. 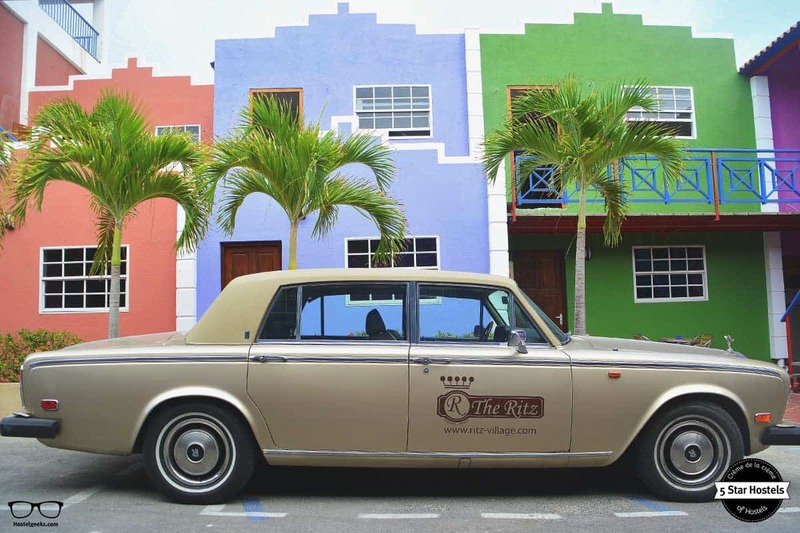 The hostel is located in what for 70 years housed the Ritz Ice Cream Factory, the largest ice cream producer in the Caribbean before its bankrupt in 1999. When the owner and manager of the hostel, Hans Robben walked onto the abandoned property and fell in love, The Ritz Village was born. Today, the name is The First Hostel in Curacao. 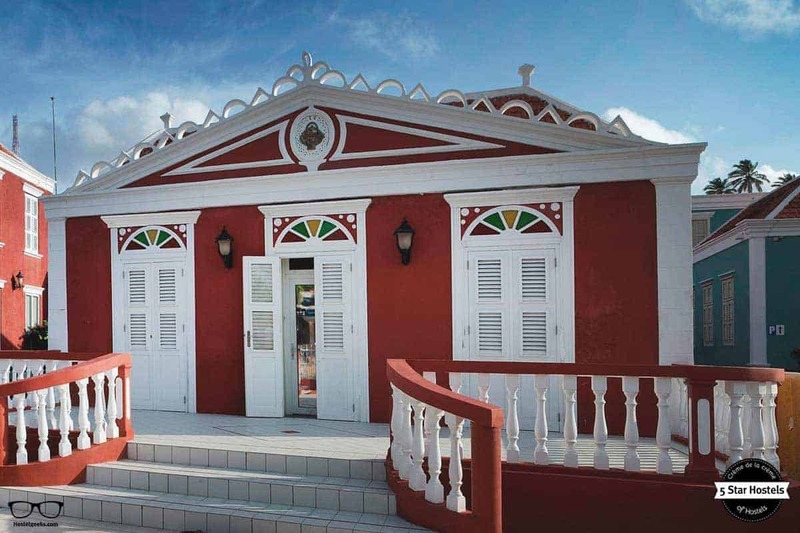 It is located in the capital of Curacao, Willemstad, which is listed on the UNESCO Heritage list since 1997. 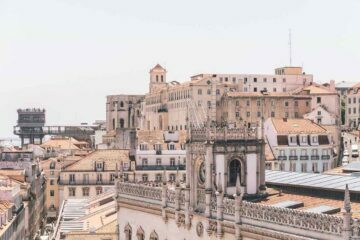 The two buildings are definitely monumental, paying homage to its ice cream past, and conserving building names such as Cornetto and Scoop… It is very meaningful for the population that the industrial style of the architecture is kept. 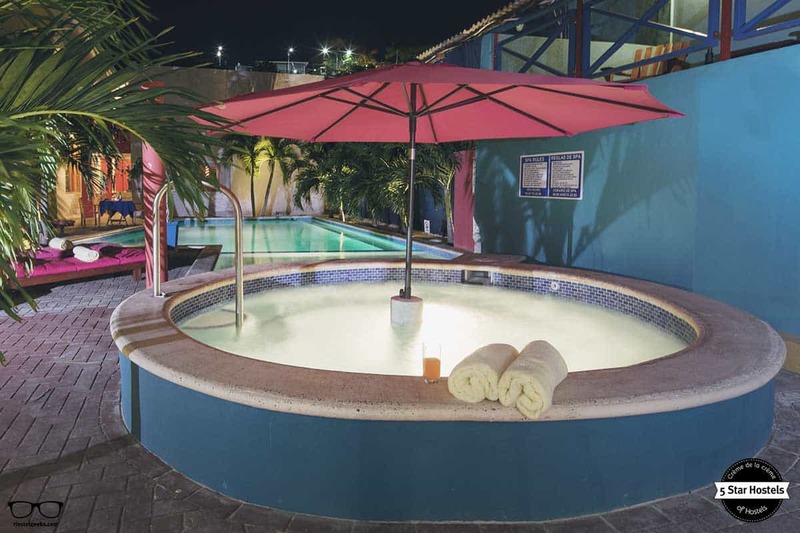 Other unique and pluses of the best hostel in Curacao are the central location, the fact of having a swimming pool, and Jacuzzi where guest can relax. There is as well a mini market, dive shop and car rental on site. All you need in just the same place. Here is a handy guide on Curacao and how to get around. In a nutshell, the First Hostel is an interesting gem, located on a beautiful island. Go and see it for yourself. The vibes are influenced by the Curacao laid-back flair, meaning: being relaxed and easy-going. That is exactly what makes Curacao special, same as the hostel-hotel. The lounge area is a large one. It is the perfect place to hang out and mingle with fellow travelers. After all, a hostel is a social hotspot for fellow hostel mates to connect and discover the island altogether. Is the perfect conversation starter. Are you more an introvert traveler? No problem, we get it! The hostel setup a smart notice board for those looking to create or join a group to go diving or explore the island. 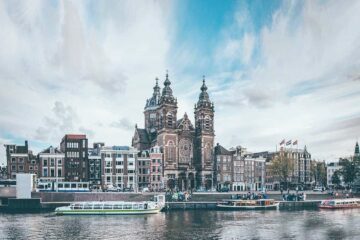 This helps to connect people and inspire travelers to take tours. It is easy, simple and works perfectly for travelers connections! 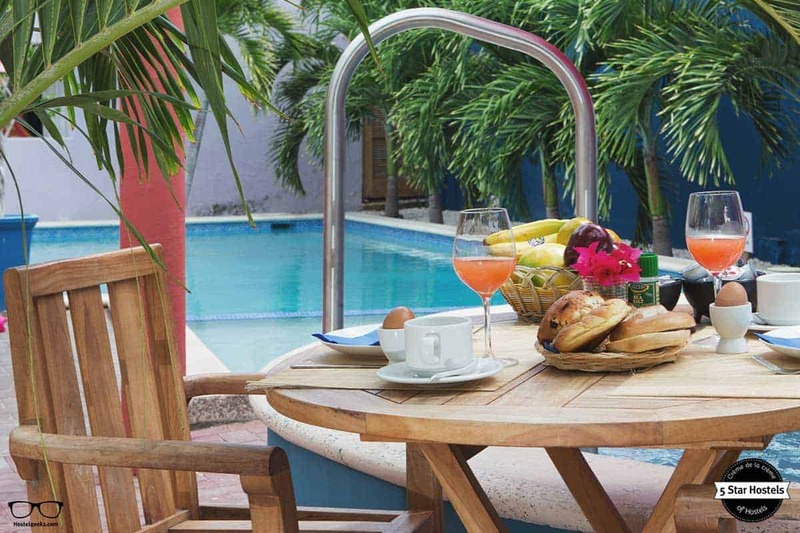 In addition to that, there is a perfect community vibe around the swimming pool and Jacuzzi. That goes even without saying, wouldn’t you agree? Surrounded by colorful small houses, it is the place where no-one seems to be in a rush. And believe us: NO one is in a rush when lying at the swimming pool. They do also offer movies night around this area. Enjoy a film while sipping a cocktail on the terrace, or even better, from your inflatable in the swimming pool! Due to the Village experience of the property, guests and staff interact quite a lot. It is normal that the receptionist or even the bar staff helps the guest to organize their daily activities and tours. They are walking guide books. No wonder so many guests love to leave compliments in their online reviews. We totally agree. For special occasions, the hostel organizes cool events. There is to mention the New Year’s drink, anniversary parties, and more. Smart advice: Stay at this budget accommodation during the birthday of the owner Hans Robben. He invites all guests for a drink at the in-house bar. Cheers! 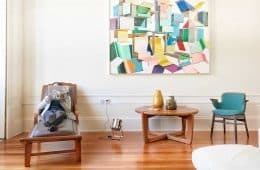 For whom do we recommend this unique hostel? 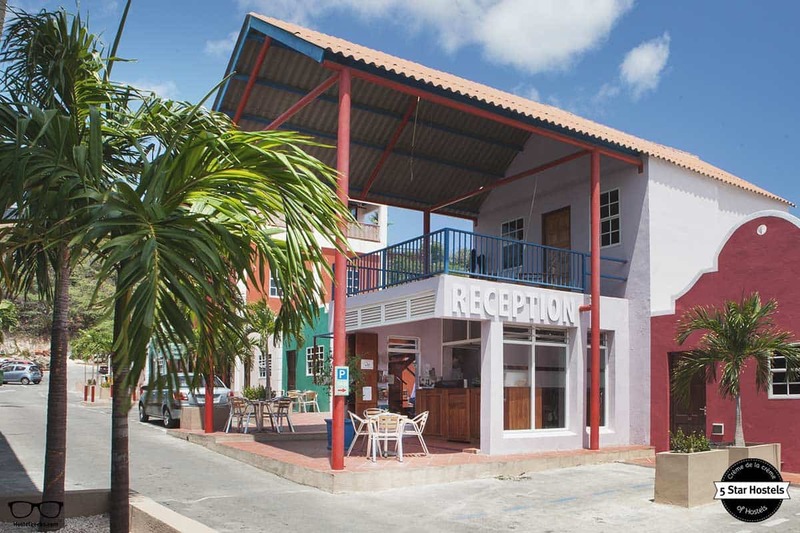 This hip Curacao hostel is perfect for solo travelers, singles, friends, and couples as well of course – no matter what age. 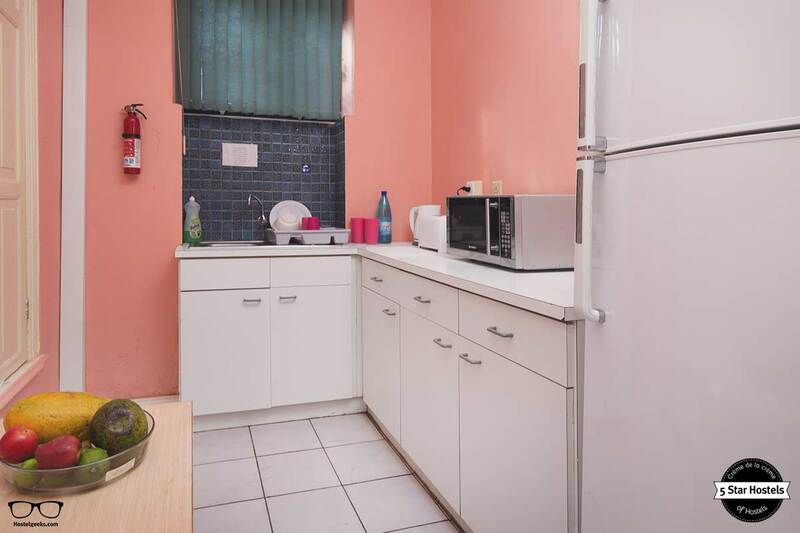 It also comes with a female-friendly vibe, with female dorms available. Here is an overview of 7 pros and 3 cons of female dorms. Last but not least, here is something special we noticed: the Reservations Manager knows all the guests by name, and even the owner sits down by the pool and talks to the guests when he has finished his work. As mentioned, don’t forget to come here for his birthday. 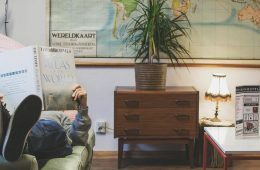 We love it when a hostel has this kind of family vibe, where it feels like staying with old friends. The staff, an important key to a good, quality hostel. As you might have figured already: The team behind the hostel is very passionate, and they know what they are doing. The team has a morning meeting. They check and discuss the daily work, like special events going on in the island so they can inform the guests. Also, the team keeps an eye on the check-ins for the day. Do any guests celebrate a birthday, maybe even a honeymoon? The team loves to chat with guests, share tips, ideas and help. There is a personal approach, especially from the Reservations Manager and the owner, as mentioned above. Many guests confirm in online reviews the experienced staff. As we pointed out earlier, the staff are walking guide books, so don’t be shy, approach them, and get the fist hand experience to explore the beauty of Curacao. 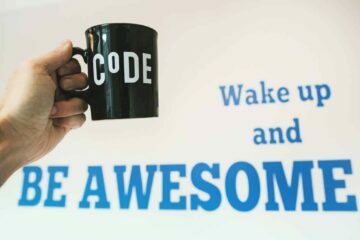 Fancy a promo code for The First Hostel? Who doesn't?! Now, there is no easy way to say this: Currently we do not have a valid discount for The First Hostel. 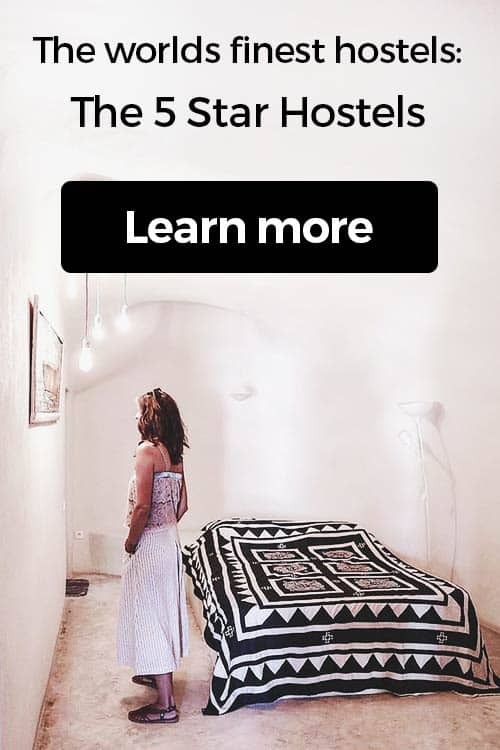 We are working on getting more promotional codes for The First Hostel in Willemstad, Curacao and all the other top hostels we reviewed for you. 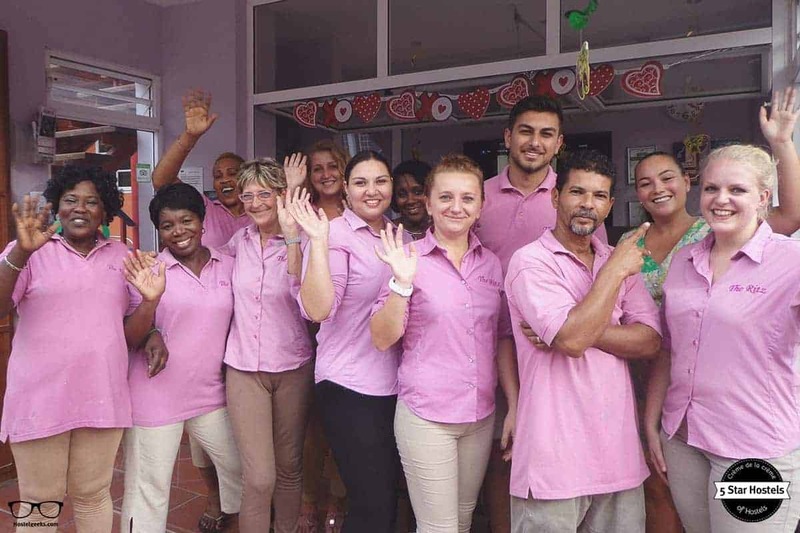 You were looking for the absolute BEST hostels in Willemstad, Curacao? You just found it! The First Hostel is the top place we recommend to our friends, family and to you! Update April, 2019: How to find flight deals to Willemstad, Curacao? Still looking for cheap flights to Willemstad, Curacao? We LOVE Kiwi.com. You can search here with a so-called "radius search". It is incredible easy to find sweet flight deals to Willemstad, Curacao and area.